Arvind Swami will play a straightforward, no-nonsense cop. 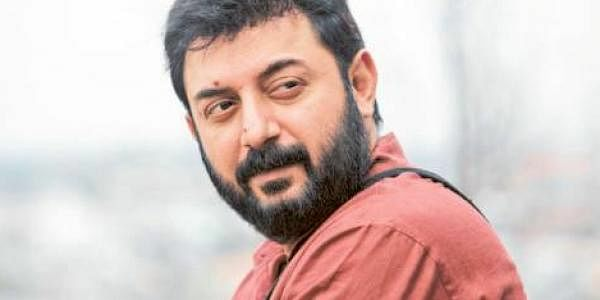 We had reported that Arvind Swami would play a cop in director Selvah’s next. The recent information CE has got is that the Thani Oruvan (2015) actor will be on a weight loss regimen to suit the character. According to sources, he’s required to be healthy and fit and lose all the muscle he had gained for Bogan. Tentatively titled Vanangamudi, Arvind will play a straightforward, no-nonsense cop. While Ritika Singh is the leading lady, Nandita Swetha and Chandini Tamilarasan play important roles in the film. Rumours are rife that while Nandita is a cop and Chandini plays a reporter in the film. However, official confirmation is awaited. The makers have decided to shoot in Kodaikanal and Tuticorin too. Initially, Daniel Balaji was to play the antagonist, but because of date issues, he has walked out. Ganesh Venkatraman is the new addition to the cast.